Elizabeth Hornberger has big things on the coming horizon as a published author and student at Liberty University. 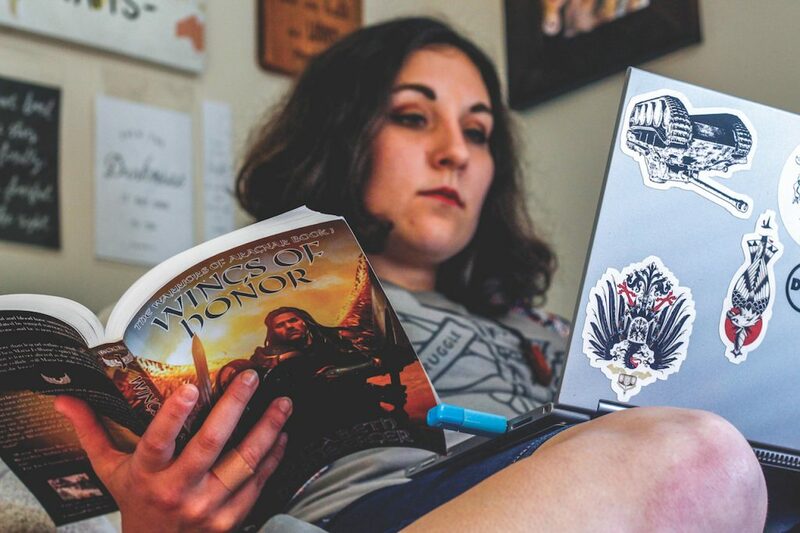 Hornberger was first published at the age of 19 for her fantasy novel “Wings of Honor: Warriors of Aragnor Trilogy.” She has since published the second of the series and is set to release the third this December. Now along with her writing, Hornberger is involved in the Center for Entrepreneurs with the School of Business. “You might not think that business is where you want to be, but if you have a desire to change the world and impact your community in ways that are tangible and realistic then entrepreneurship is definitely one way that you can make an impact,” Hornberger said. Hornberger describes that if she can just touch one person’s life that is all the success she needs. Recently at a convention she had an interaction with a set of parents that will stay with her forever. Hornberger published her first novel at age 19. “The mom goes ‘You’re that writer… my daughter is obsessed with’. The mom proceeds to say that her daughter has a very low (immune system and) was too sick to come,” Hornberger said. “(Her story about her daughter and my book) moved me to tears…I’m like ‘God, this is just a story. How can it be that important to someone?’ I know that I can’t stop, because I know that somewhere out there (that woman’s daughter is) waiting for my next book. If I never have another fan, she’s already made everything worth it.” Does this make more sense?